If you’ve ever experienced a spike of lag while playing League of Legends, then you should know how annoying it can be. You’re just about to pull off the most amazing skill shot and the game freezes. The frustration! Was it someone in your house clogging up your internet, or are Riot’s servers just playing up again? Behind every lag spike, there is always an explanation. Luckily, these ping spikes can be fixed to stop them from ever happening again. With just a few tweaks to your computer and setup, you’ll be spike free forever. To help you stop these ping spikes from ruining your fun, we’re taking a look at how you can fix them. So pay attention, these are the ping spike fixes you’ve been looking for! Before we dive straight into looking at fixes for ping spikes, let’s take a look behind the scenes and see what causes lag in the first place. Without getting too technical, we’ll introduce a few term which help explain why your internet sometimes doesn’t decide to play ball. As you can see in the picture above, this is a visual representation of how your computer connects to the Riot gaming servers. 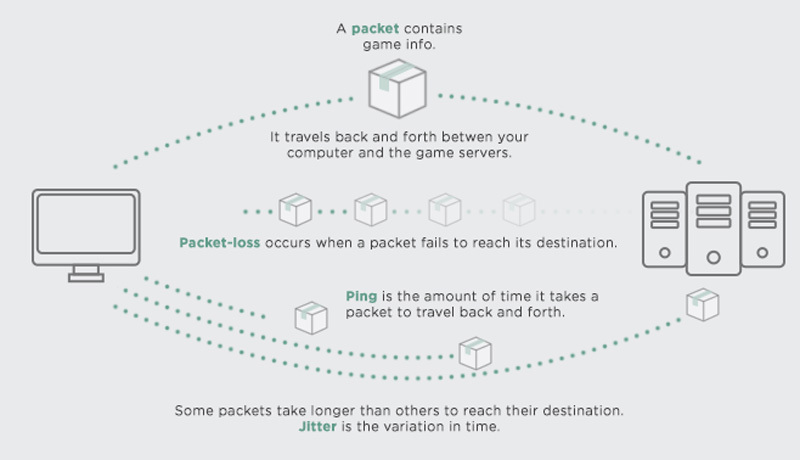 Your computer on the left sends a packet of information to the game servers on the right which respond with a brand new packet. These packets are like boxes and contain information about your champion and the game, such as where you’re located on the map. If these packets start to get lost and disappear on the net, then you’ll start to experience packet-loss. This pack-loss is what gives the lagging effect that some players experience. At the same time, you can also experience jitter which is related to packets. This is when packets take longer than others to reach their destination. If the average time it takes to travel back and forth is 50ms and then suddenly it jumps to 100ms you’ll start to experience some jitter. Just like packet-loss, this jitter will look like a laggy mess as old packets get received too late. What happens is the server receives one packet and then as it waits for the next one the game will freeze. If there is a long delay between the new packet, then your champion will basically freeze and not move. The final term we need to explore is ping, which you probably already know. Ping is simply the time in milliseconds it takes for a packet to reach your computer. The lower the ping the better, as it means packets are arriving to their destination faster. Now you understand how data is sent back and forth from the Riot servers, what causes them to slow down and get lost in the first place? 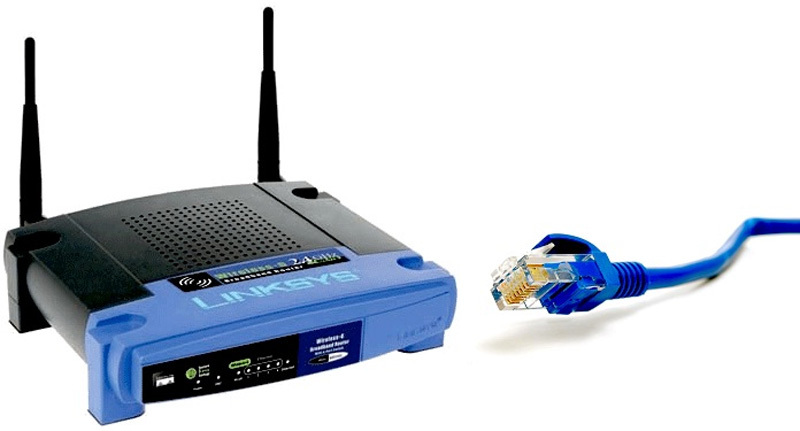 One of the major factors behind lag and ping spikes has to be wireless internet. On paper, wireless sounds like an amazing technology. It sends data through the air without the need of wires, how handy and useful! Unfortunately, in reality, it’s not as reliable as that. Sending internet packets through the air does come with a few problems. The first is that the time it takes to send the data from the wireless router to your PC can take a long time. It has to pack the data into wireless packets, send the data, wait for it to travel through the air and then receive it at the other end. Depending on how far away your wireless router is from your PC can also have an effect on how long these packets take. That’s why if you compare 2 gamers with WiFi and ethernet connections, you’ll notice the ping on WiFi is always higher. Sending data wirelessly is not as fast as people think, and this becomes even more obvious when playing online games. The second problem with WiFi is that it increases the chances that packets are lost. Remember when we talked about packet-loss before? Well packet-loss is always higher on wireless than ethernet. Packets can get lost and delayed a lot easier which makes it hard for your PC to keep up. Every time a packet is lost your PC has to request the same packet again from the server. If you lose a packet then you could miss your flash, smite or last hit. Making sure you lose as little packets as possible is essential. The point that we’re getting to is that a cable ethernet connection is much more stable than WiFi. If you’re currently experiencing ping and lag spikes in game, then you should consider changing your internet. Don’t believe us? Well don’t take our word for it, check the statistics! On the other hand, the North America region has the 2nd most players using WiFi just after Oceania. If you know anything about NA then you should know that their ranked ladder is considered a lot easier than the likes of EUW and KR. Although it’s probably not 100% due to the fact most of them use WiFi, it’s probably a strong factor. 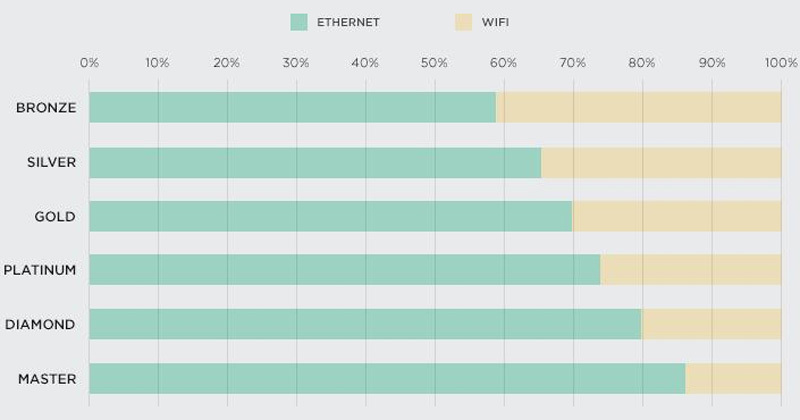 Finally, one of the most interesting charts is when we explore the percentage of ethernet users per division. 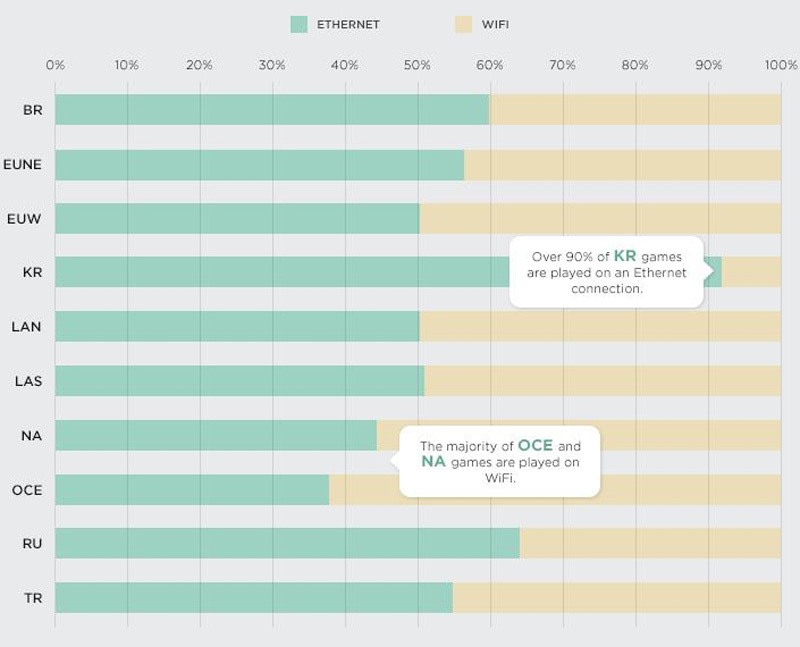 From looking at the chart, there is a clear correlation: the higher the division, the more players use ethernet. Hmmmm, it’s almost like an ethernet connection gives players a bigger competitive advantage! If you only take one thing this away from this article then let it be this: get an ethernet connection! Not only does it decrease your packet-loss but it also reduces your average ping and jitter. If you’re currently experiencing some high ping and lag spikes at the moment, then make the switch to ethernet. Want to grab some epic skins? LoL Smurfs is the biggest, safest & best place to buy a League of Legends smurf account. Our instant delivery, special warranty and 24/7 support means there is simply no better place to get your LoL smurfs.